The Viking Village “Njardarheimr” in Gudvangen at the end of the Nærøyfjord in Western Norway has become a reality. On 31 May, after more than twenty years of waiting and dreaming, Chieftain Georg Olafr Reydarsson Hansen could welcome the first guests. Hansen moved to Gudvangen in 1995 with the idea to build a Viking village. 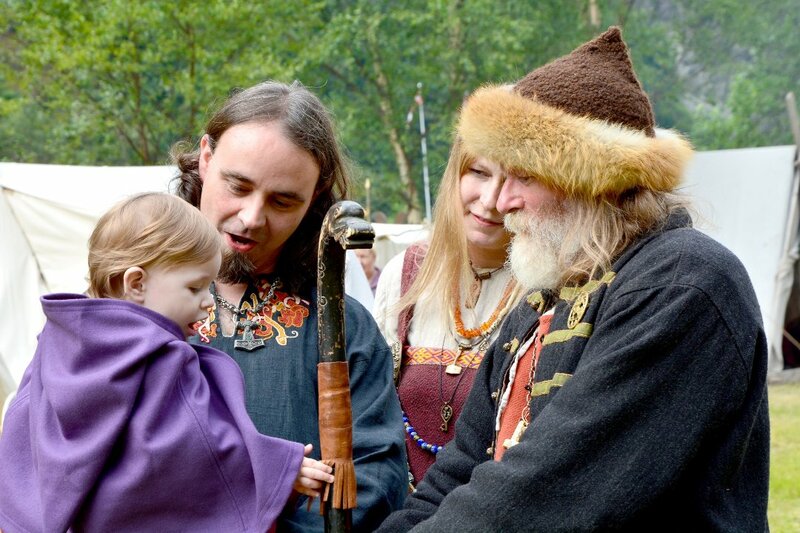 Since then, he has made a living as self-appointed Viking chieftain, among others as responsible for the annual Viking market. Now phase one of “Njardarheimr” Viking Village is completed. The name means “Njord’s home”, the Norse god associated with sea, seafaring, wind, fishing and crop fertility. The construction started in August 2016 and the village will consist of about twenty small and large timber buildings – totaling 1,500 square meters when completed. The Viking village is open for visitors in the period from 31 May to 1 October, but is also possible to visit the rest of the year if you make an appointment. That looks amazing. I didn’t know about it until now, thanks for sharing this. Awesome website by the way. Skal!